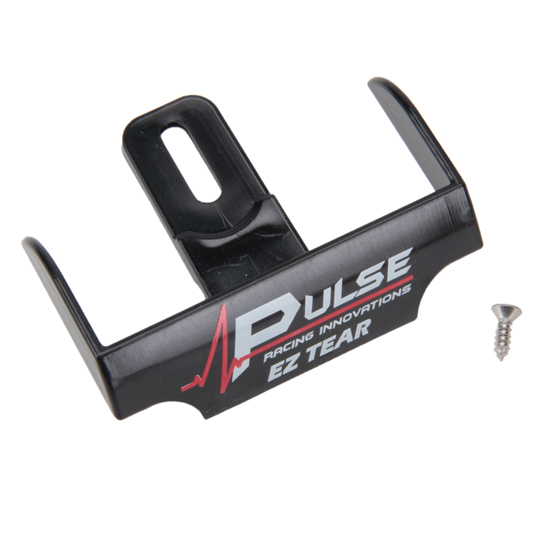 The EZ Tear system by Pulse provides a shield for the folded tearoffs to keep the racer from grabbing them by accident. It protects the folded tabs and guides your hand to the top tearoff so you can get the full benefit of every single tearoff and ultimately keep your vision clear so you can focus on the racing and not fumbling with tearoffs. Attaches between the lens and the tearoff post and can be adjusted to accommodate the tearoff tabs of all brands of helmets and tearoffs.